Leam Howards hit four goals for Ardley United in Saturday’s 9-2 victory at Henley Town. And, after committing himself to the club, Matt Cruse completed a hat-trick in the UHLSport Hellenic League clash. Ardley were given a fright in the first 45 minutes of Saturday’s premier division fixture when Henley twice led twice. But after the break the visitors took control. Henley took a 24th minute lead when Josh Dillon rose to head home a corner. Howards hit the post and Henley missed a sitter before Cruse thumped home a pass from Jack Heap in the 32nd minute. The home side restored their lead eight minutes before the break when Seve Mayberry refused to give up on a ball that looked to be heading out and crossed for Reece Buckett to head home. Two minutes after the restart Sergio Guerrero was adjudged to have been pushed in the box and Howards slotted home the ensuing spot-kick. Cruse gave Ardley the lead when he got behind the home defence to smash home. 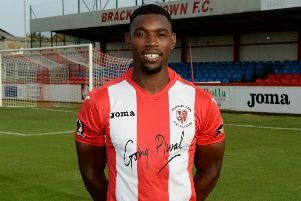 In the 57th minute Ardley were awarded another penalty and Cruse bagged his second successive hat-trick before Liridon Daka was shown a second yellow card. Within four minutes Carl Tappin fed Howards inside the box where he twisted and turned before tucking home. Howards completed his hat-trick ten minutes later when a through ball saw him round the keeper before sliding into the empty net. With seven minutes left Cruse was tripped in the box and Jacob Walcott fired the penalty into the top corner. Cruse hit the post before substitute Will McEachran squeezed the ball home from the byline with the aid of a deflection. In stoppage-time Howards bagged his fourth goal after cutting in from the right and smashing home with the aid of a defensive deflection.